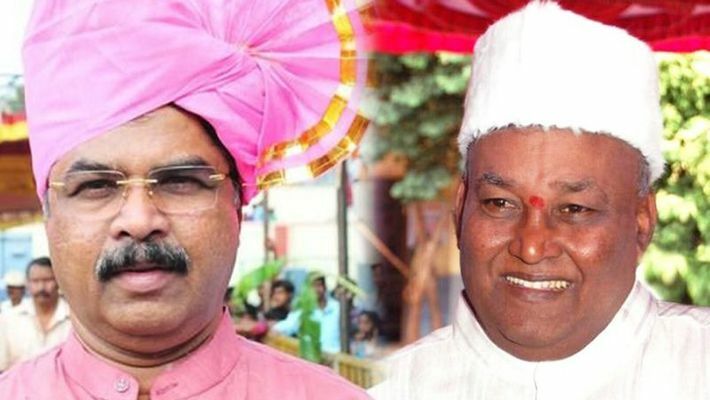 Bengaluru: A day after the election commission announced the Lok Sabha poll dates, the Karnataka BJP unit witnessed an embarrassing situation following an alleged verbal spat between former ministers Katta Subramanya Naidu and R Ashoka. The verbal spat is reportedly due to Ashoka's efforts to bring ex-BBMP corporators M Gopi and Saravana from the Congress into the BJP. Gopi represented Sampangiramnagar ward while Saravana was Ulsoor corporator, between 2010 and 2015. Both were aspirants to contest as MLAs from Shivajinagar from the BJP, but the party chose Naidu. Gopi and Saravana joined the Congress and worked against Naidu and ensured his defeat. Now that the MP election date is announced, Bengaluru Central MP PC Mohan, who is also known to the former corporators, is said to have approached through Ashoka. It is this development that has irked Naidu. When MyNation contacted Naidu, he said, "This kind of political development should not be discussed in the public domain or media. I will have discussions with the party leaders. The discussion of such matters should be confined within the four walls." It is being said that, frustrated with such a development, Naidu is even contemplating from staying away from elections. While Gopi was in the BJP from the beginning, Saravana was a Congressman as he was denied ticket to contest in 2015 BBMP elections. He fielded his wife as an independent and ensured her win. Later, he decided to go with the BJP. Since Gopi and Saravana have upper hand in their areas, MLA and former minister Roshan Baig pacified them and brought them to the Congress in April 2019. While Gopi was not available for comment, Saravana said he is aware of the news and react at an appropriate time.